Nick joined Watsi on September 19th, 2016. Two years ago, Nick became the 2332nd member to automatically support a new Watsi patient every month. Since then, 2,774 more people have become monthly donors! Nick's most recent donation supported Veronicah, a woman from Kenya, to fund fracture repair surgery. Nick has funded healthcare for 28 patients in 9 countries. 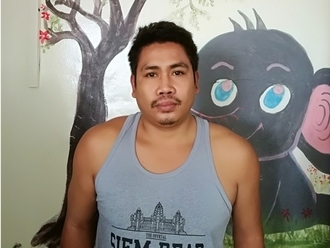 Keng is a laundromat worker from Cambodia. He has been married for five years. He likes to listen to classical music and go for walks in his free time. For the past two months he has experienced a lot of hip pain on his right side. He cannot walk and cannot work. Fortunately, Keng learned about our medical partner, Children's Surgical Centre. At CSC, surgeons can perform a total hip replacement to relieve Keng of his pain and allow him to walk easily. Treatment is scheduled for October 16, and Keng needs help raising $1,025 to pay for this procedure. He says, "After surgery I hope I can walk normally and have no more pain." Davy is a woman from Cambodia. She has two sons and four daughters. She likes watching TV and cooking for her family. Seven months ago, she fell off her motorcycle and dislocated her elbow. Ever since, she has had arm pain and she is unable to work. Davy needs to undergo a reduction procedure for her to regain use of her right arm and to be able to bend her elbow again without pain. Surgery is scheduled for September 7 and will cost $390. 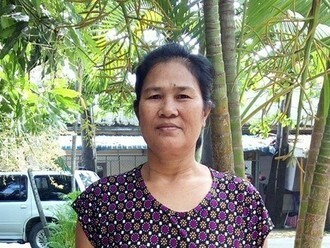 She says, "After the surgery, I hope I can work again and support my family." Joshua is a farmer from Kenya. He is married and has one child. Last month, Joshua slipped in the rain. This caused a fractured tibia and fibula and an ankle dislocation He is not able to walk or work. Fortunately, surgeons at our medical partner can help. On April 10, Joshua will undergo a fracture repair procedure, called an open reduction and internal fixation. This procedure will help him walk easily again. Now, our medical partner, African Mission Healthcare Foundation, is requesting $998 to fund this procedure. “I am worried because my family fully depends on me. I hope Watsi will help me, and hope my leg will be well soon so that I can take care of my family,” says Joshua. 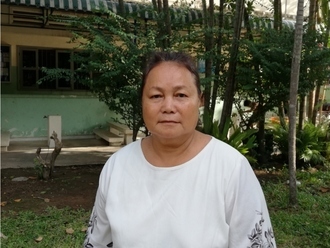 Lim is a 53-year-old woman from Cambodia. She has one son and three daughters. She enjoys cooking, gardening, and relaxing at home when she is not working. About two years ago, she was in a car accident that caused a hip dislocation. She had the dislocation treated, but doctors discovered that she has osteoarthritis of the hip, which causes her chronic pain. She has difficulty walking on her own. She needs an arthroplasty procedure to help her regain her mobility. Fortunately, Lim is scheduled to undergo surgery at our medical partner's care center on March 14. She needs help raising $497 to fund this procedure. She looks forward to being able to walk without pain after surgery. She says, "I hope I can move without pain and return to work soon." Potifala is a farmer from Malawi. Potifala lives with his wife, and they have ten grown children. Potifala spends his days raising and caring for his livestock. In his free time, he likes to read the Bible with his wife. Since 2015, Potifala has been experiencing pain and urinary difficulty. These symptoms are caused by an enlarged prostate, a condition called benign prostatic hyperplasia. He needs to undergo a prostate resection surgery, a procedure in which surgeons will remove part of the enlarged gland. 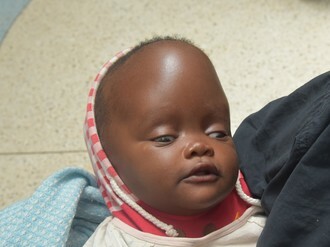 Our medical partner, World Altering Medicine, is requesting $733 to fund Potifala's surgery. On February 13, he will undergo prostate surgery at Nkhoma Hospital, our medical partner's care center. The requested money pays for supplies, medications, and two weeks of hospital stay. Potifala was thrilled to find out his procedure would be funded, and he is looking forward to going home and living a pain-free life He says, "I am so happy to meet you and thank you for helping me."